The challenge with Woodland Lodge was to turn a 1970s’ bungalow into a modern, barn-style home, with wheelchair access. The property had a generous footprint but the layout was badly organised and it suffered many of the characteristics of homes of the era that did not suit my clients. The owners had been searching unsuccessfully for some time in both Norfolk and Suffolk in the hope of buying a barn conversion. But while they were unable to find their perfect home they did eventually find their ideal location when they came across the Wymondham home. As a single-storey building, the property offered some degree of wheelchair accessibility, but my aim was to improve that. I also wanted to transform the whole place into an attractive, contemporary dwelling, with features reminiscent of a barn conversion, and incorporating dynamic, open-plan space. Initially, I looked at how to extend and then also suggested the possibility of raising the roof and creating a double-height, vaulted space. 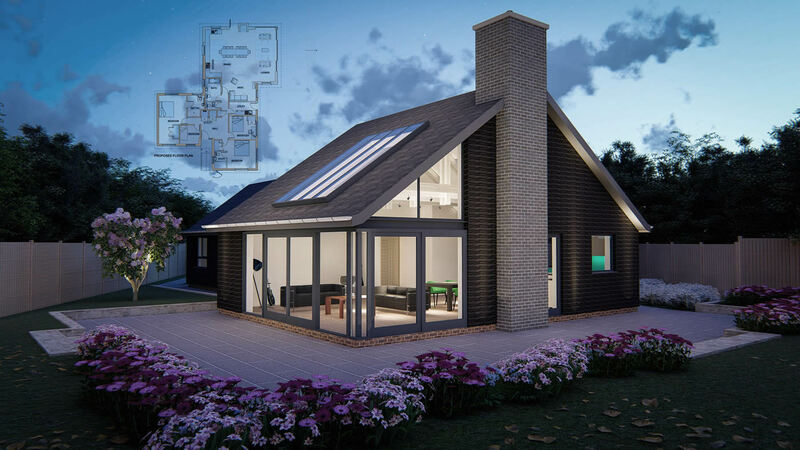 Within this main area, we then decided to introduce feature oak trusses and a contemporary chimney stack, with a wood-burning stove as a focal point. Externally, we opted for dark grey timber cladding and rendered the existing brickwork to create a much more modern appearance. The planning process went smoothly and work has just commenced on site with contractor Overton. 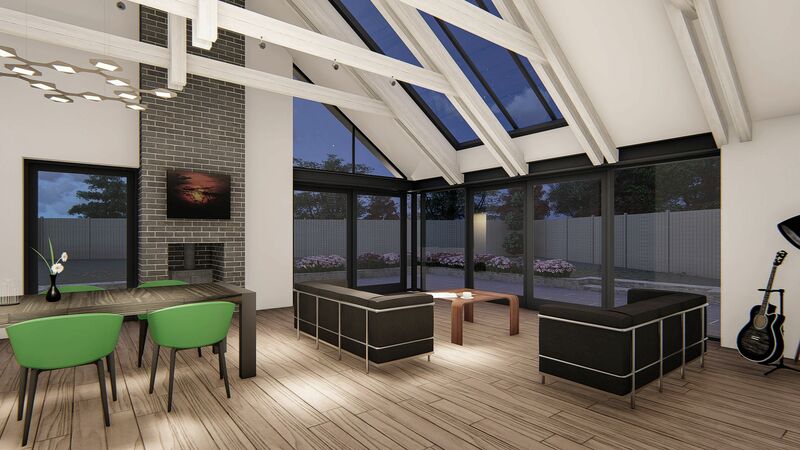 Regular three-way client, contractor and architect meetings have been held and will continue through the build to ensure the work goes smoothly. Working as a team makes a huge difference to the success of a project of this size and complexity and ensures an end result which is even more rewarding for all concerned.